What’s a Journey without Yarn? I arrived in Ithaca a day before the MBA program to get acclimated. The agenda foretold of long hours ahead and I wanted to see the campus. I ventured down the hilly terrain from the campus to Ithaca Commons, a pedestrian-friendly area with restaurants and shops. My destination – Homespun Boutique. Dejected, I walked back up the hill with the sun at my back. At least I got my workout in. I will try again next time. You can find Homespun Boutique virtually on FaceBook and in real life at 314 E. State St., Ithaca, NY 14850, Phone: 607-277-0954. During the week in Kingston, Ontario, there was precious little time for anything but classes and studying. Assignments had to be turned around in 24-48 hours. I usually skipped dinner so that I could work or nap before the long night ahead. On the very last day, after all assignments had been submitted, I had a couple of hours before heading out to the airport. This was my only opportunity. The hotel arranged a car to take me to my destination. The driver was part of the program staff and, as I came to learn, a knitter herself. An immediate friendship was struck as we made our way to Knit Traders of Kingston. I was there for only 15-20 minutes and made the most of it. The staff was very helpful. They pointed me to locally spun wool but it was a bit too scratchy for me so I picked up sock yarn instead. Besides the ubiquitous wall of yarn, there were plenty of fibers and tools for spinning. Every yarn store should have this sign! 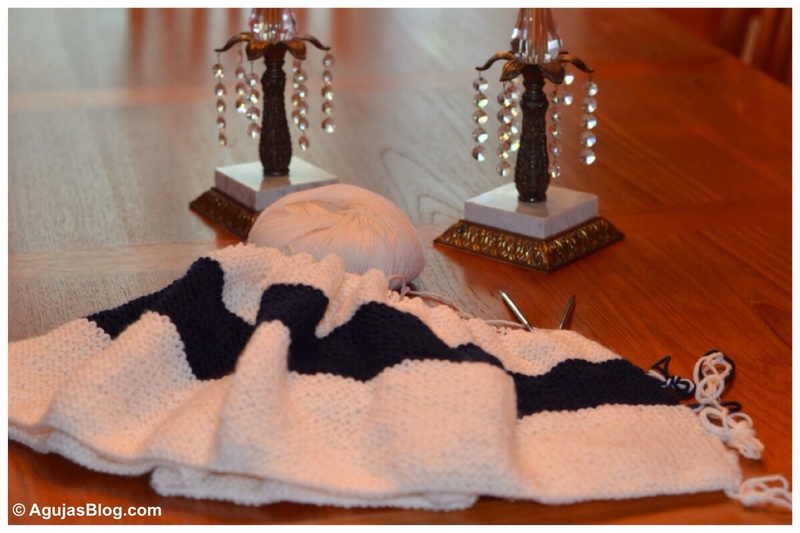 Knit Traders is located in a nondescript strip center, so you need to look for it. I don’t recall seeing a spot to sit and knit. They didn’t have some of the brands I typically look for, such as Madeline Tosh, but they were getting ready to bring in more local yarns. 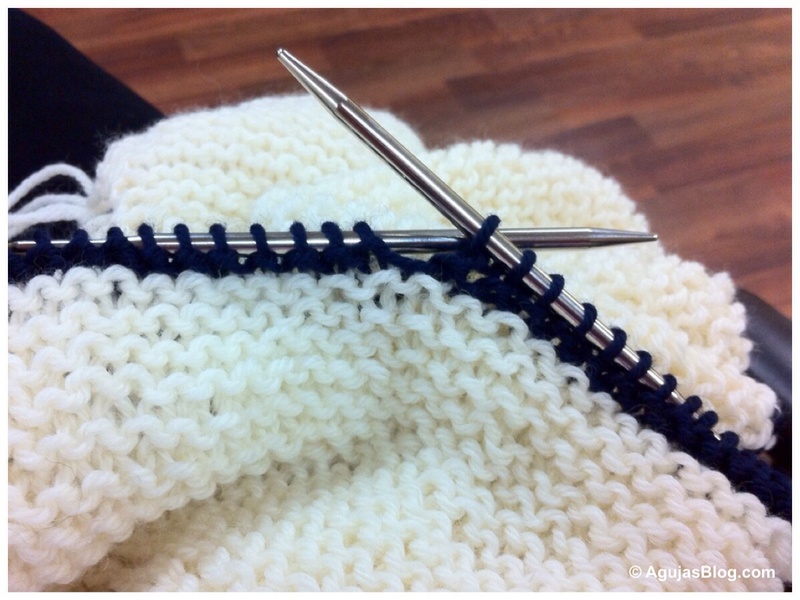 KnitTraders of Kingston, 725 Gardiners Rd, Kingston, ON, K7M 3Y5, Phone: 613-384-3951. On the drive to Knit Traders, I learned that there was a truck full of yarn that traveled around Kingston. Yes, a TRUCK – FULL – of – YARN. 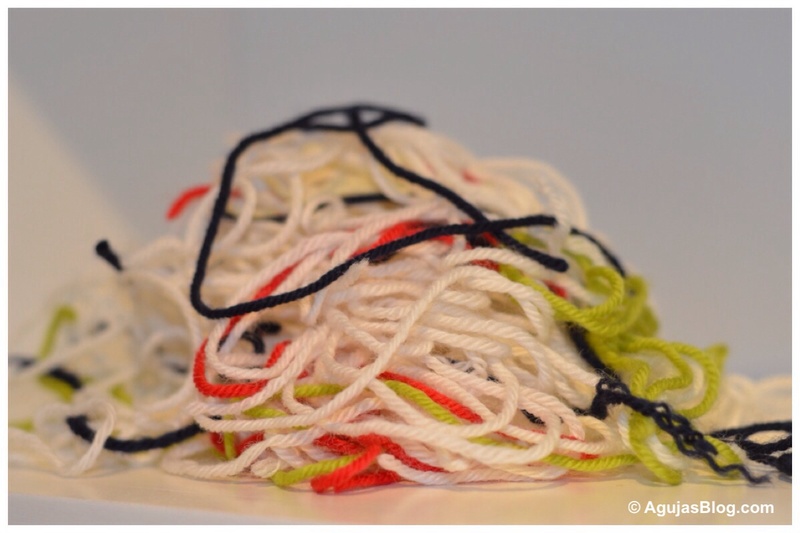 Think food truck but with yarn on the menu. According to the Purlin’ J’s Roving Yarn website, the truck stops at several locations. You can find it by checking the “Where’s The Truck” section of the website. They even do day trips to fiber festivals! 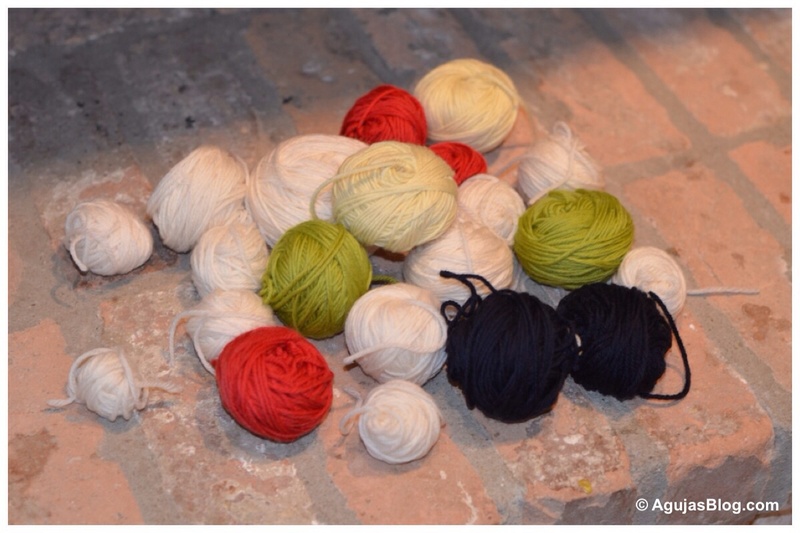 Imagine, riding in a truck full of yarn to a fiber festival. 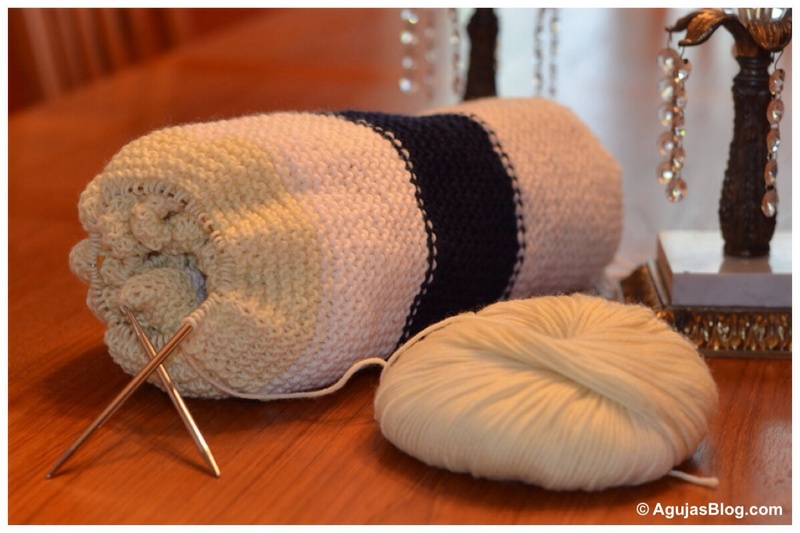 A journey without yarn is just a road trip. I recently started something I have wanted to do for many years – I enrolled in an MBA program. Way back after working a few years out of college, I wanted to be a lawyer. I was accepted into law school and was even awarded a small scholarship – but that was around the time my dad died, and as the oldest in my family, I felt I needed to stay employed in case Mom needed anything. A couple of years later, after entering the private sector, I figured an MBA was the logical next step. Since I was a Literature major, I started taking college math courses to prepare. Around that time, I got married, got pregnant, miscarried, got pregnant again, almost miscarried again – and then stopped all extra activities to focus on my pregnancy. A few months later, my beautiful son was born. Unfortunately, the marriage didn’t last and I became a single parent for the next 8 or so years. Fast forward to 2016: I am married to an amazing man and we have two boys in college. Now it is my turn. The next 18 months will be challenging – the first two weeks of my residency made that clear – but I am so excited about this journey. It is never too late. My husband and I have two teenage boys – one his, one mine. Our boys are the same age and share similar experiences – riding on our shoulders as toddlers, daycare, doctor visits, cub scouts, basketball, middle school, deepening voices, freshman year, etc. While they share some interests, they are very different. One is gregarious, the other introspective; one talkative, the other thoughtful. 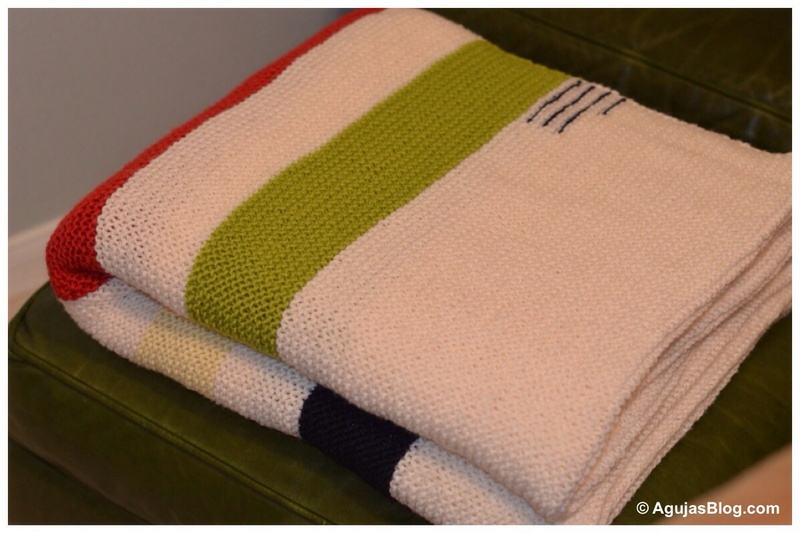 One day during a visit, my son asked if I would knit him a blanket. My heart melted. Of course I would. Consulting with my husband, I searched for the perfect pattern. It had to have simple lines and muted colors. 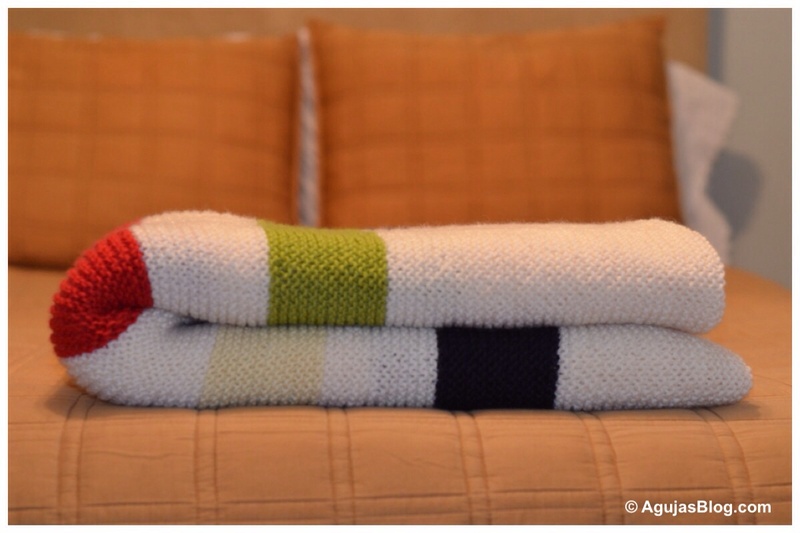 After pouring through pattern books and the web, we selected the Hudson’s Bay Point Blanket. It had a rich history, a rustic feel and the palette of primary colors was just right. We could envision this blanket becoming an heirloom piece seeing our son through college, wrapped in front of a fireplace, and one day tucked around tiny feet. 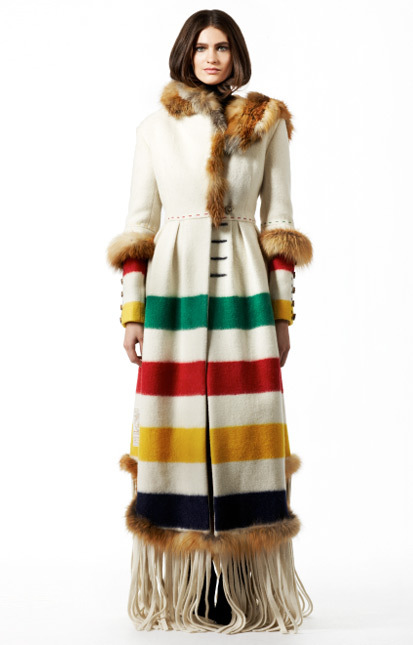 A few years ago, the Hudson’s Bay Company commissioned a group of Canadian designers to create coats using the well-known motif. You can view their unique designs here. 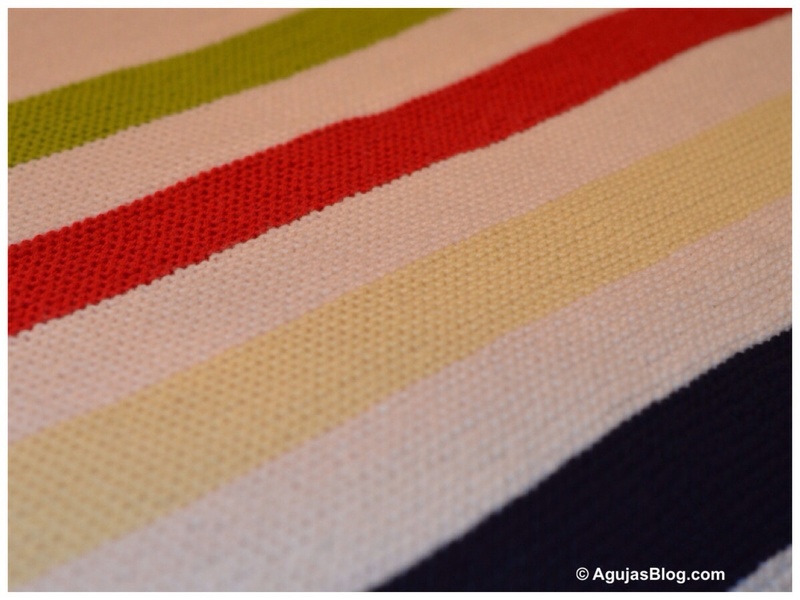 There are a number of sites on the web about the Hudson’s Bay Company Point Blankets. The Point Blanket Site offers a comprehensive overview and has an excellent bibliography. The Hudson’s Bay Company website also provides a history of the blankets. I chose 100% Superwash Wool for warmth and ease of cleaning. 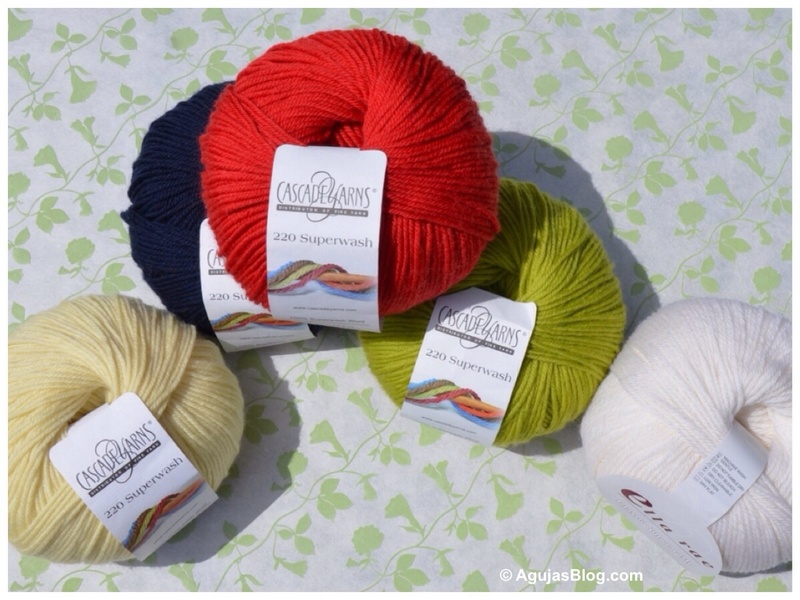 I found the elemental colors in Cascade Yarns. They did not have enough white so I found a comparable yarn from Ella Rae. I will note that the Ella Rae had an unusual number of knots. Often, I had to unravel a row to cut off the faulty piece and tie on a new string. 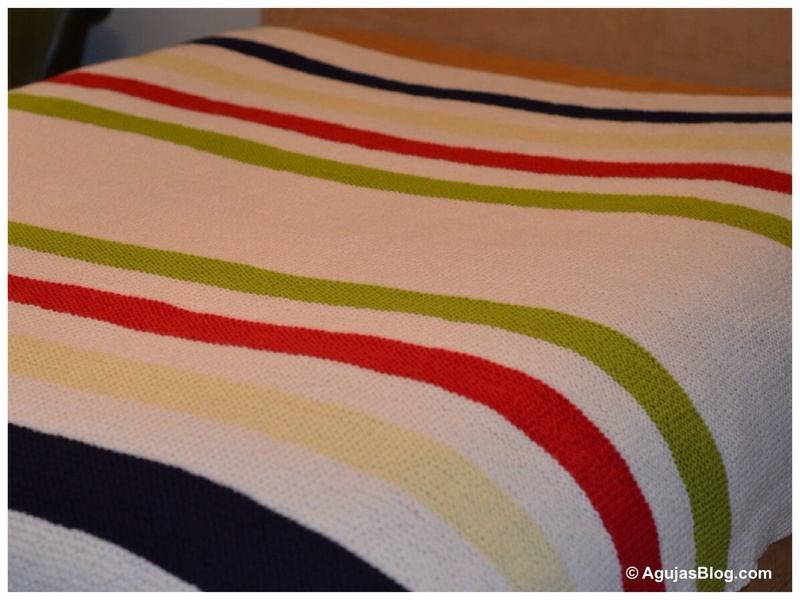 To accommodate a growing teen, I wanted the blanket to fit a double bed. Based on the yarn’s gauge and using a US 7 circular needle, I cast on 238 stitches. 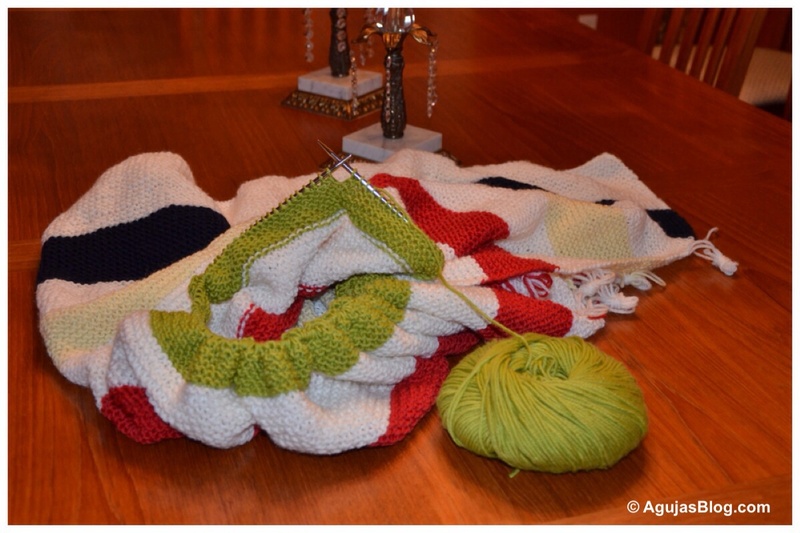 It took a year to knit this blanket. 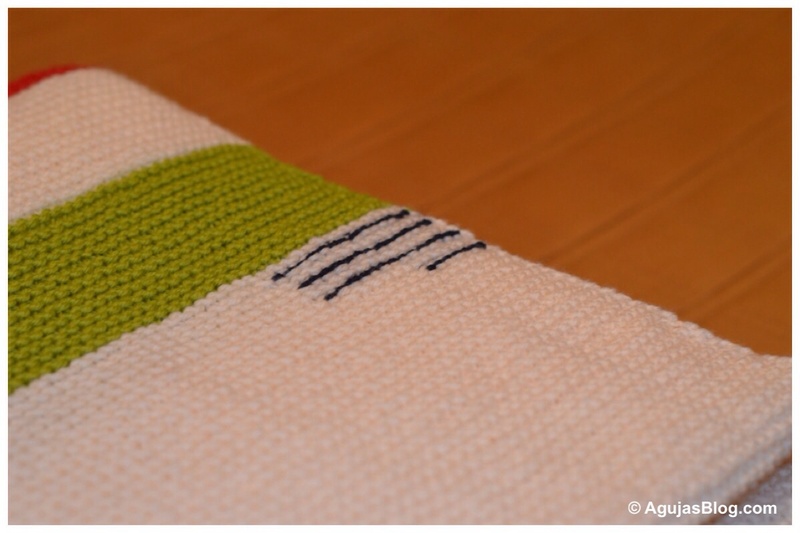 The repetitive garter stitch produces a lovely texture but can be monotonous. Then there were the months abroad when the blanket lay dormant. Upon returning, I was determined to finish it by the holidays. The dimensions turned out at 72″ x 68″ and fit nicely over a full size bed. 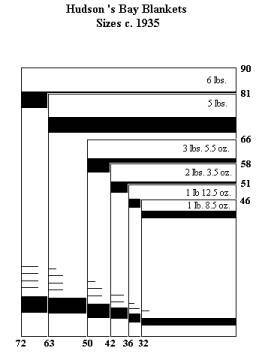 Based on the standard sizes marketed by the Hudson’s Bay Company, it merited 3½ indigo markings to denote size and approximate weight. I wonder if we will see bird’s nests dressed up like mini point blankets this Spring? To my son with love.